Vibrant Performance makes it easy to weld Blow Off Valve matting flanges to your induction plumbing. Flange kits are now available for mating up to HKS SSQ series and Greddy S/R/RS series blow off valves. Each blow off Valve Flange kit comes complete with a radiused weld-on fitting (for easy welding to your tubing) that is also threaded so that you can simply screw on the mating flange. 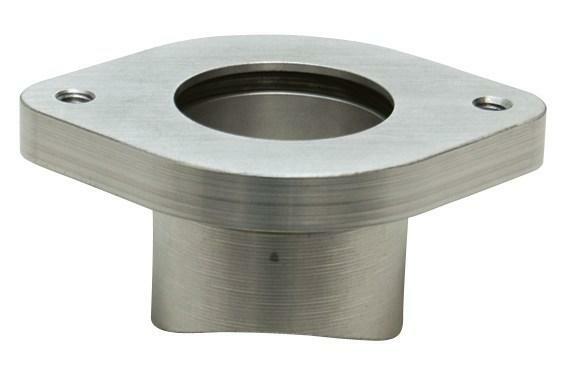 The Weld fittings are available in your choice of T6061 Aluminum or Mild Steel construction. The flanges are made from T6061 Billet Aluminum. Each kit also includes an O-Ring for a leak free seal.